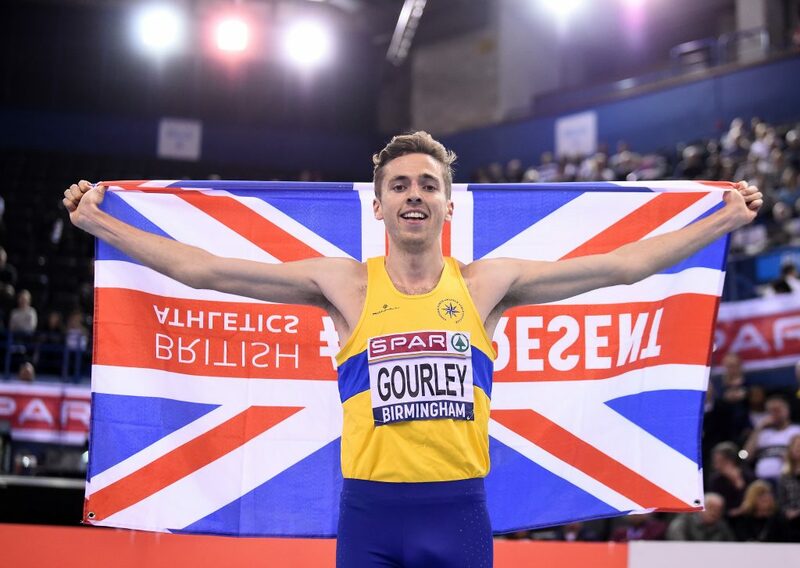 There will be at least six Scots on the start lists at Glasgow 2019 after a thrilling weekend of qualifying action at the British Athletics Indoor Championships. 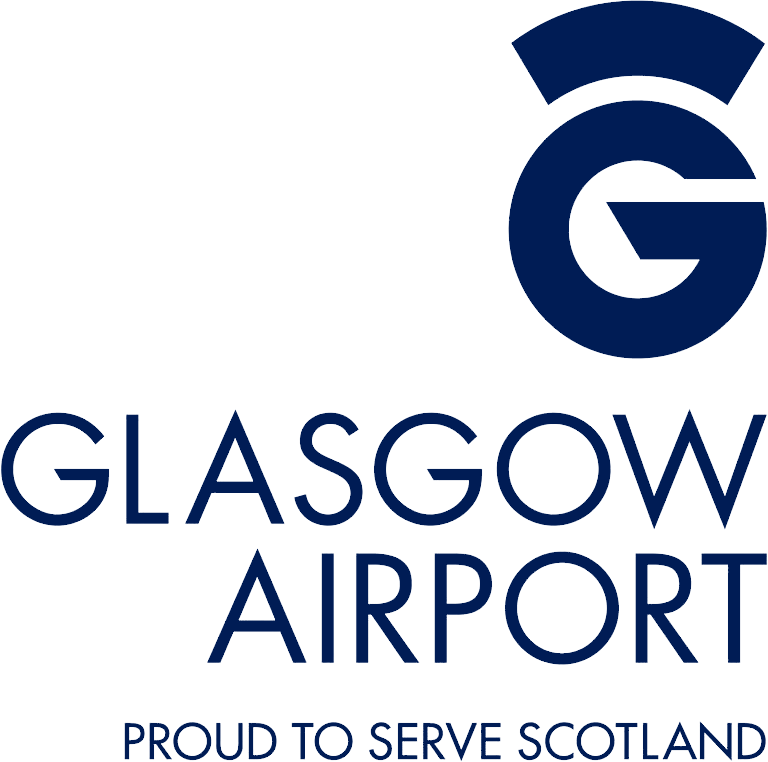 Glasgow 2019 ambassador Laura Muir, Chris O’Hare, Zoey Clark, Neil Gourley and Jemma Reekie all scooped places to compete on home soil through their performances. And a slew of other big names, including defending European indoor 60m champion Asha Philip, did what they needed to do and claimed national honours to progress to Glasgow. As anticipation for next month’s continental gathering reaches fever pitch, here’s your one-stop shop for a guide to who’s going forward in the red, white and blue. 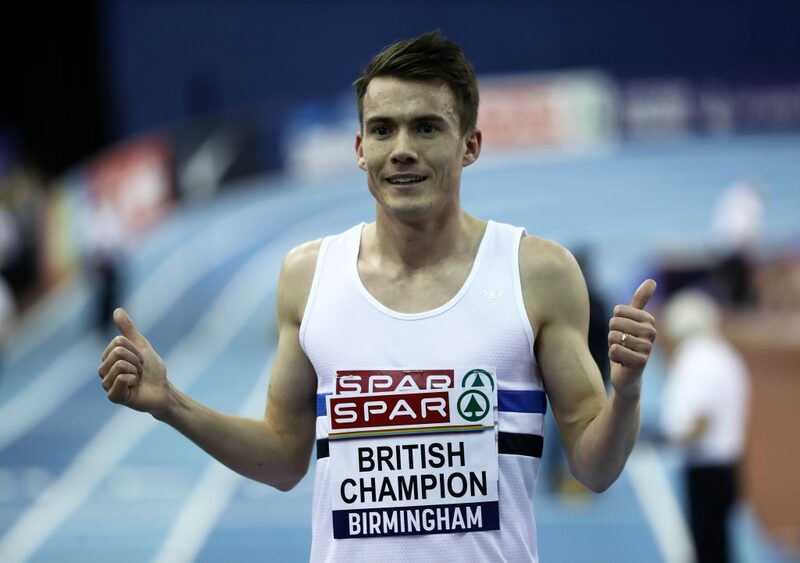 As if we needed a resounding reminder of the strength of Scottish distance running, Birmingham provide yet another. 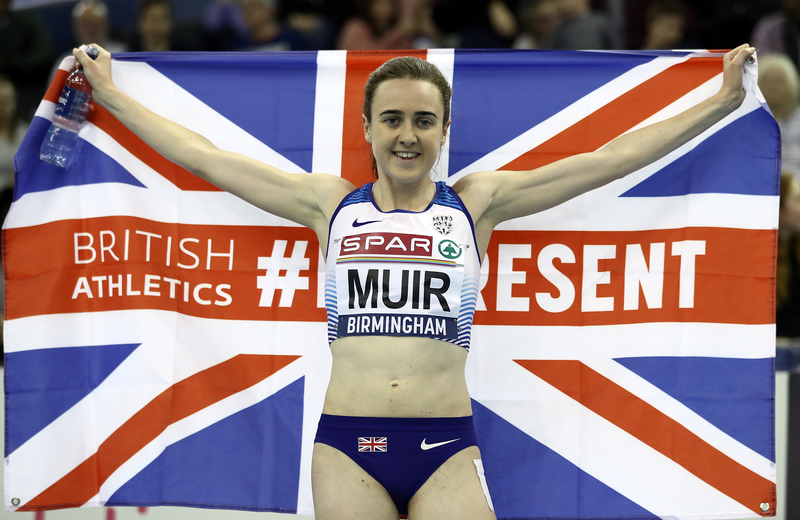 Laura Muir flexed her muscles with a dominant defence of her 3000m title, declaring her intent to defend both European indoor titles at Glasgow 2019 in the process. “We’re hoping to do the double – that’s what we’d like to do,” said Muir. “To wear the orange bib as defending champion for two events is really exciting for me and I’m excited for the championships after that performance. “I feel so comfortable indoors in Glasgow, I know the surroundings and I’m in great form. That means both FRIDAY NIGHT and SUNDAY NIGHT ticket holders will see Laura in action. Training partners Chris O’Hare (Edinburgh) and Andrew Butchart (Stirling) went toe-to-toe in the 3000m with O’Hare showing his pedigree over the longest distance to prevail. The pair, who couldn’t be separated in finishing fourth and fifth at the New Balance Indoor Grand Prix in Boston last month, are expected to duke it out again in Scotland next month after team selection is finalised. ✅ Selection for European Indoor Champs. 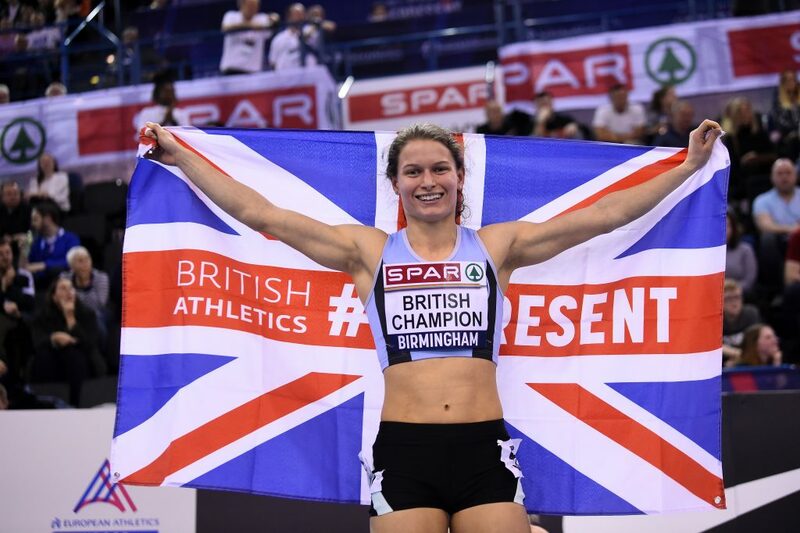 Both 1500m events were won by tartan tyros who earned the chance to perform in front of their home crowd at the European Athletics Indoor Championships. Neil Gourley (Giffnock) was over the moon to win the men’s title with an indoor personal best, edging a sprint finish with Elliot Giles in a time of 3:44.76s. “It’s going to mean a lot lining up in front of all my friends and family in Glasgow,” said the 24-year-old. “To have a championships in my home city, it helps you through the winter months when things aren’t that enjoyable. It spurs you on. And 20-year-old Jemma Reekie (North Ayrshire), Muir’s training partner, completed an Andrew Young double with a powerful kick finish to cross the line in 4:17.08s. “I really wanted to be in Glasgow. Laura is the best in the world and every day I am challenging her,” said the European junior champion, set to line up against Laura in Glasgow. In one of the weekend’s highlight-reel races, Zoey Clark (Aberdeen) claimed 400m success in a star-studded field to earn the right to represent Britain in Scotland’s biggest city. She came out on top in a race featuring Olympic medallist Eilidh Doyle, World Championship silver medallist Laviai Nielsen and international Meghan Beesley. “It’s amazing to book my place in Glasgow – every opportunity I can get to run in Scotland, I’m going to grab it,” said Clark. Borders star Guy Learmonth’s place is also secure after he was bumped up to silver after a disqualification in the 800m. 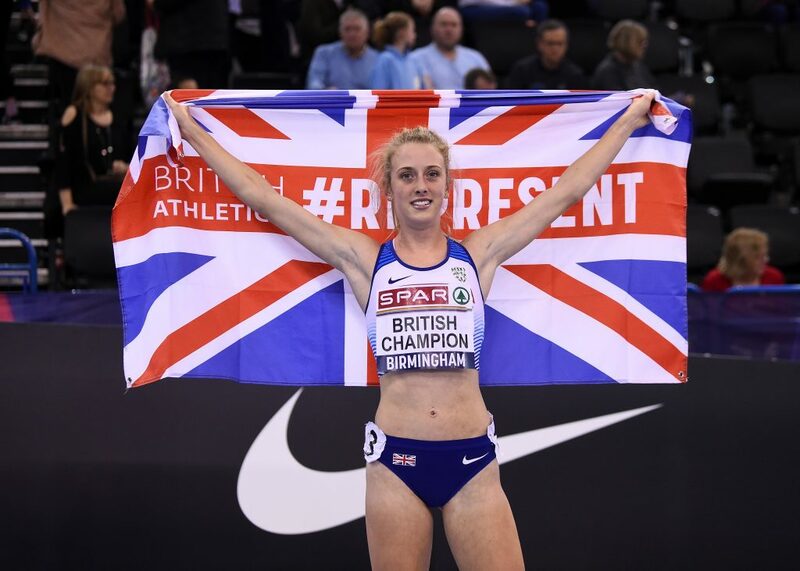 With Doyle, Butchart and Lynsey Sharp all still within a shout of making the British team when it’s announced on Sunday, the Scottish flag will be flying high from March 1-3.